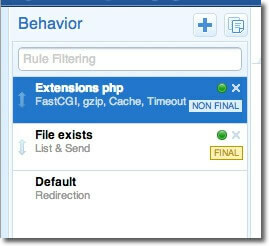 The PHP-FPM (FastCGI Process Manager) is usually used to allow the processing of PHP files. Nowadays, PHP-FPM is bundled with all Linux based PHP distributions. On Windows PHP-FPM is in the PHP distribution archive through the file php-cgi.exe and you can start it with this script to help set options. Windows does not support unix sockets so this script will start fast-cgi in TCP mode on port 9000. 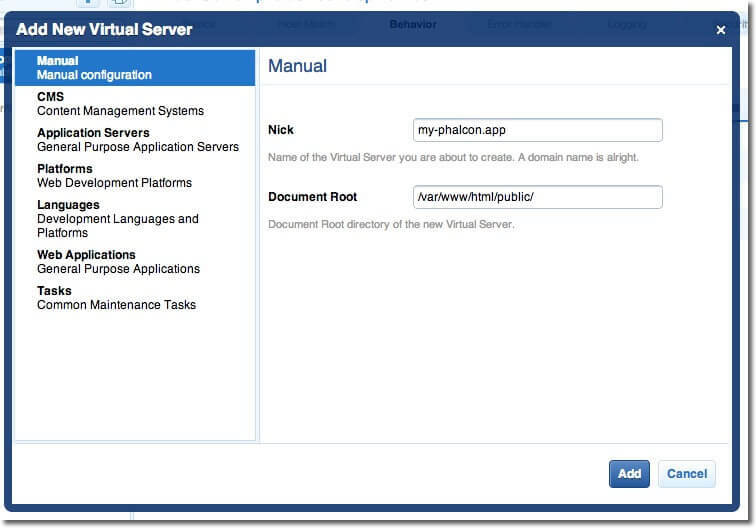 To speed up getting your Phalcon application running in development the easiest way is to use this built-in PHP server. Do not use this server in a production environment. The following configurations for Nginx and Apache are what you need. Then point your browser to http://localhost:8000/ to check if everything is working. Nginx is a free, open-source, high-performance HTTP server and reverse proxy, as well as an IMAP/POP3 proxy server. Unlike traditional servers, Nginx doesn’t rely on threads to handle requests. Instead it uses a much more scalable event-driven (asynchronous) architecture. This architecture uses small, but more importantly, predictable amounts of memory under load. 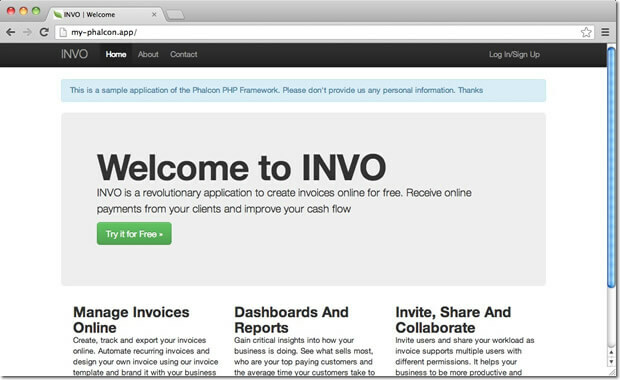 Phalcon with Nginx and PHP-FPM provide a powerful set of tools that offer maximum performance for your PHP applications. Usually start nginx from the command line but this depends on your installation method. Apache is a popular and well known web server available on many platforms. This being the most common case, the application is installed in any directory under the document root. In this case, we use two .htaccess files, the first one to hide the application code forwarding all requests to the application’s document root (public/). If your uri contains characters other than English, you might need to resort to the above change to allow mod_rewrite to accurately match your route. 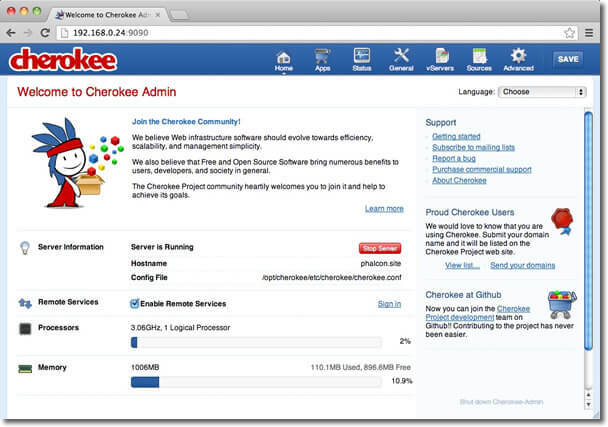 Cherokee is a high-performance web server. It is very fast, flexible and easy to configure. 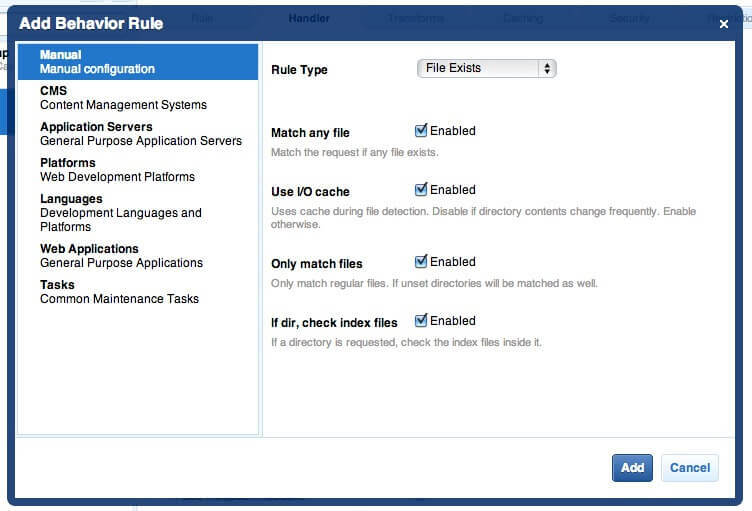 Cherokee provides a friendly graphical interface to configure almost every setting available in the web server.